The University of Pretoria’s Gordon Institute of Business Science’s class of social entrepreneurs presented their social enterprise ideas and ventures to a panel of funders. Entrepreneurs had two minutes to explain their complex work and define their tasks to a panel of corporate social investment (CSI) managers, personal brand experts and foundation heads. We have captured the lessons below, as they provide insight into how to pitch your social organisation to people who largely have different agendas and needs to yours. Who are you? What makes you credible and trustworthy? Do not be afraid to outline some of your history - why is this cause important to you, what have you done (for example, awards, media opportunities, research, etc.) that makes you trustworthy. Personal brand is important. People make decisions on you within the first seven seconds, so think about how you want to come across? Frazzled non-governmental organisation head or considered, thoughtful professional? We default to putting our request last, and instead spend time detailing our story, outlining the whys and what’s of our work. But rather put your ask up front. So why are you there? Are you looking for a partnership opportunity? Funding? Marketing? If you set up your ask in the beginning, what you say subsequently makes more sense. Communication is not so much what you say, but rather how your message is received. Conduct your research before you meet the funders. Know the environment you are working in and why you are doing what you are doing. Be able to articulate important facts that underpin your argument and that are relevant to the local context. There is a lot of material out there which is easy to find from search engines like Google. Government strategy documents are also extremely helpful. Facts help to build trust and distinguish you as informed and serious about your work, suddenly you are credible. People make decisions emotionally first, and factually second, so do not forget to appeal to the person. This does not mean that your appeal must be designed to invoke tears and trauma but to rather focus on the positive – the stories that quickly capture the spirit of the work that you do, the ethos and values that you work to, the environment you work in and the people you work with. 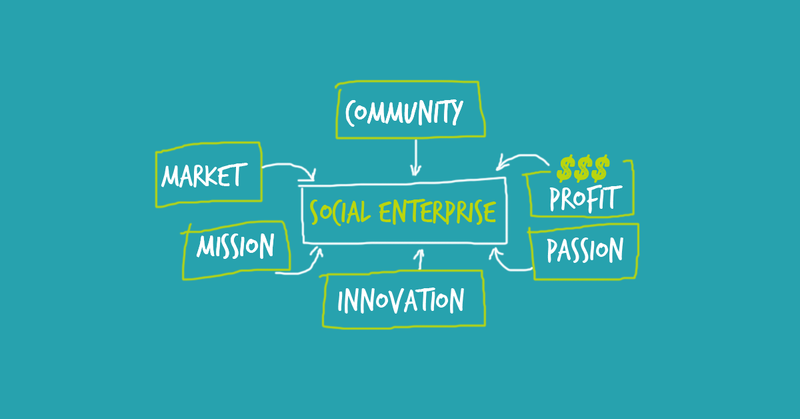 Being a social entrepreneur means you have spent years pulling your grand idea together. So why would you want to read your pitch? Be confident in your knowledge since you know more than the person you are presenting to and connecting with, to bring them onside. You make it very difficult for them if you are reading or checking note-cards because you are breaking eye-contact. This immediately puts up a barrier, undermines your credibility and can be seen as being disrespectful. If you have not prepared for the meeting, why should I give up my time to listen to your work? Composing an argument is not just for the lawyers in Oscar Pistorius’ trial. The techniques of introducing yourself, outlining your context, what partnership you envisage, the value to society and the value to the person you are talking to builds a thread. Work, work and rework this. You should be able to say all you need to in two to three minutes. Take the time to develop this pitch and be comfortable with it. Be mindful of the language you use. Your pitch should be understandable to all - avoid jargon and the language of the social sector. Rather use everyday phrases that the person you are speaking to can relate to (but please, no clichés). If you have more time than this, lovely. The thinking that goes into being succinct, means that you will do wonders with the extra time and be able to answer questions eloquently. Do not forget to summarise, to capture in one or two sentences, the value you are offering and the mutual benefits. Build a relationship of equals and neatly capture the essence of your work and your ask. I often think we forget that as we get so involved in the great work that we are doing, we think it is about us. Do not be fooled because it is not. It is about the person you are talking to - who they are, what they do, why they would invest in or partner with you and what value you bring to them. There is a reason that they have agreed to talk to you, so, unpack the value that they see. The point of being able to demonstrate your work in two minutes is not to cram as much information as possible, or to test whether you can rattle off facts faster than an auctioneer. Speak clearly. Use pauses to underpin the points you want to emphasise. Be convincing and energetic - capture the passion you feel for your work, and convey that in how you present. Be clear on what it is the person you are pitching to can offer you. And what you can offer them. We are building partnerships of equals and understanding. Therefore, the value that we bring and that others offer is critical. Outline what you are putting in. Having other partners that are involved adds credibility, especially if there is match funding. If you get this right, I think you are practically there. Keep your language and your message positive. Avoid phrases like ‘the plight of children’, ‘poorest of the poor’, ‘the most needy’. Our work is how we progress society and using negative phrases carries the wrong perception. The value of being able to pitch your work in two minutes is that it is hard. It forces you to take the complexity of your work and break it down to its very essence. Practice your pitch with friends, family and colleagues. Get feedback, change it and think about your words.